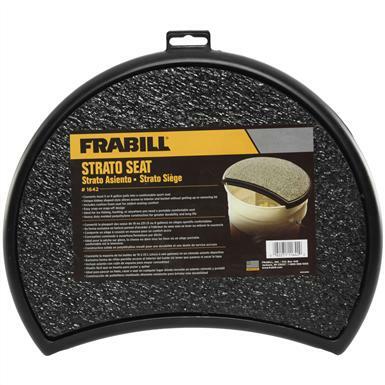 Frabill® Strato Seat converts your 5 or 6-gallon pail into a comfortable fishing seat! 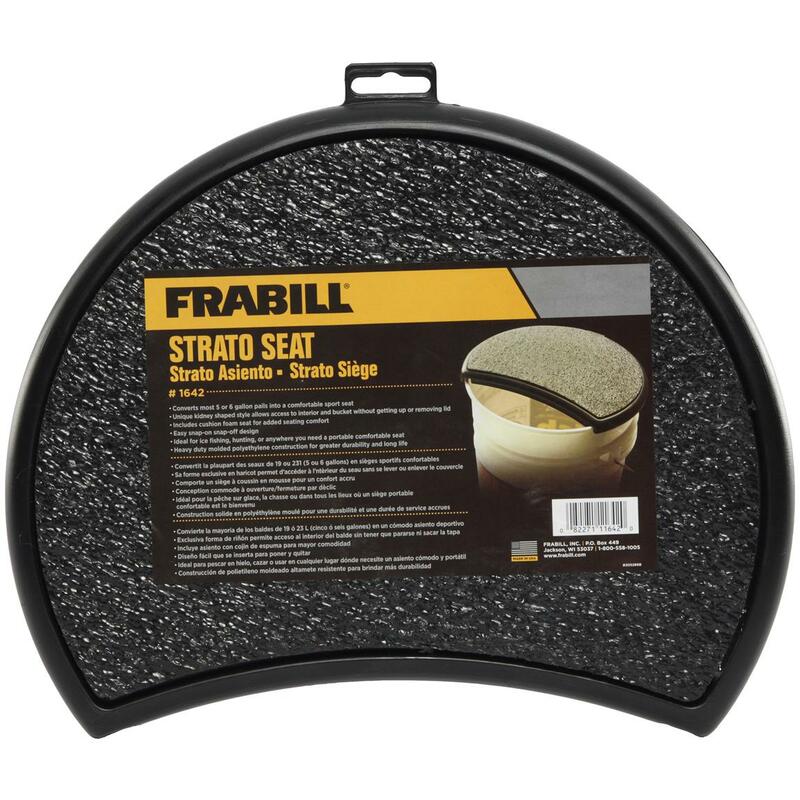 Plop this Strato Seat atop your fishing pail, and instead of torturing your "kiester" with a hard bucket top, you'll enjoy hours of padded bliss. Unique kidney-shaped design allows access to the inside of the pail without having to get up or remove the lid to place fish inside. A secure place to keep your prized jigs. The ultimate sight-fishing 1-person shelter.